Our quality FireWire adapter quickly and easily converts an IEEE 1394a 6-pin female to an IEEE 1394a 4-pin male connection. 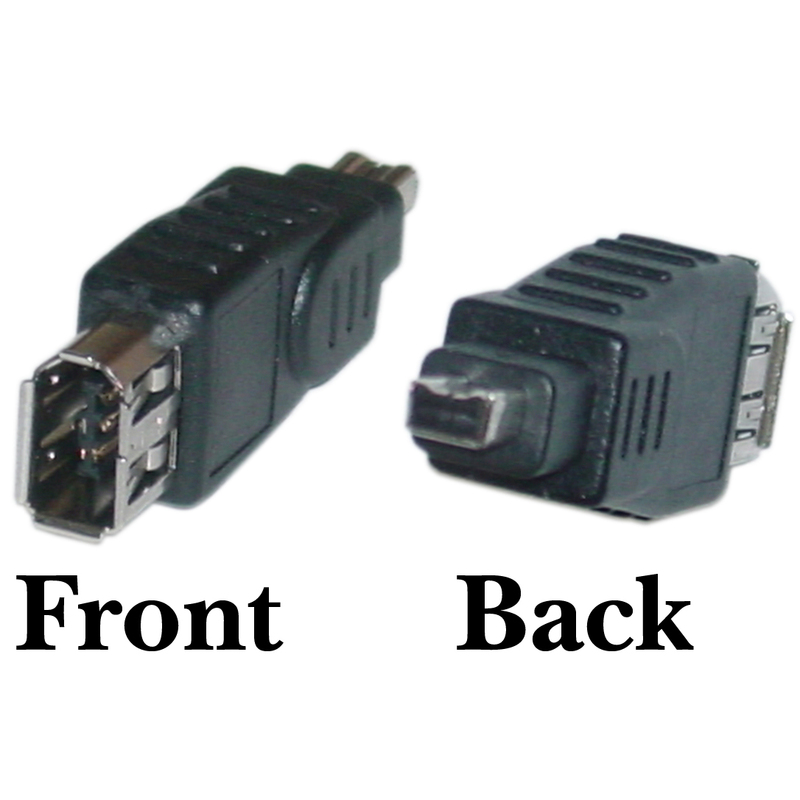 It can be used with IEEE-1394, or FireWire, compliant devices - these devices include digital cameras, digital set-up boxes, printers, scanners and more. This small-yet-reliable adapter gets the job done and will provide years of reliable use thanks to its lifetime warranty. Its secure connections make connecting your two devices a breeze, and its black molded PVC hood is resilient and comfortable to handle. This FireWire adapter is RoHS compliant and meets and exceeds safety standards.